Many women young women who die from breast cancer have never been screened, according to a new study that suggests that regular mammograms begin earlier than 50 years old. Experts, however, disagree and say the study will "confuse women more than they already are." For the study, researchers at Harvard Medical School reviewed over 7,000 cases of women diagnosed with breast cancer between 1990 and 1999. Of the 609 of those who died from the disease, 65 percent had never had a mammogram, leading the authors of the study to conclude that earlier screening could save lives. But the US Preventive Services Task Force (USPSTF) still believes that most women should not get regularly screened until the age of 50. 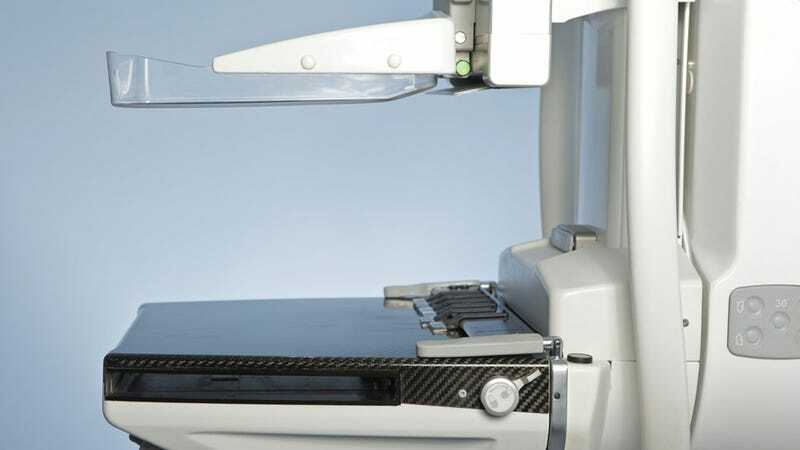 The American Cancer Society suggests women begin getting regular mammograms at 40. But! The National Cancer Institute (NCI) does not believe young women should get mammograms. Even though mammograms can detect malignant tumors that cannot be felt, treating a small tumor does not always mean that the woman will not die from the cancer. A fast-growing or aggressive cancer may have already spread to other parts of the body before it is detected. The problem, say doctors, is that mammogram screenings work best for detecting the slow-growing cancer. Younger women are more susceptible to the "killer cancers" that move quickly, and thus, they probably wouldn't benefit from mammograms.